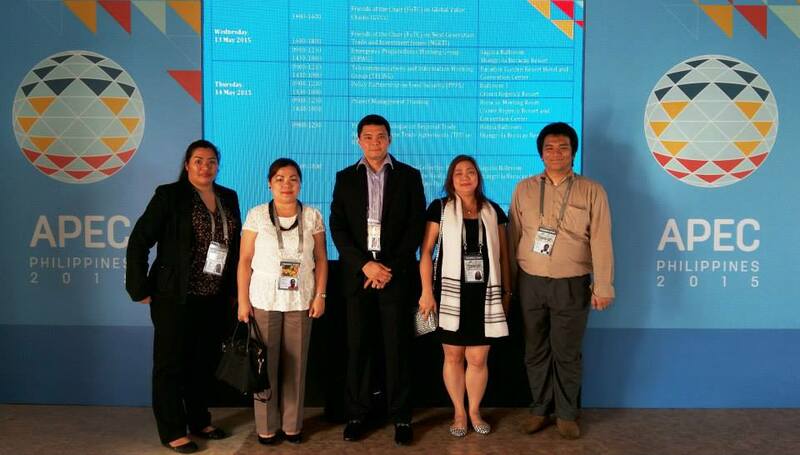 Boracay, Aklan, Philippineds —The SFI Group, in coordination with DOLE-BLE shared valuable insights regarding the Philippine TalentMap© Initiative during the 37th APEC (Asia-Pacific Economic Cooperation) Working Group Meeting held last May 14-17, 2015. 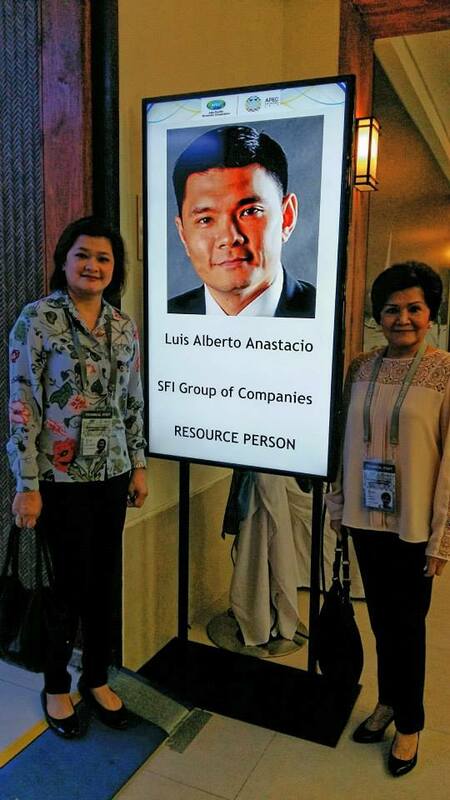 Mr. Luis Alberto Anastacio, President and CEO of the SFI Group led the Philippine delegation in presenting the initiative in one of the meetings of the APEC Human Resources Development Working Group (HRDWG) – Labor and Social Protection Network (LSPN). The discussions in the LSPN meeting did not only cover labor trends and concerns but also social protection and its linkages to employment. Another resource person from the Philippines representing the World Vision, discussed a program called ABK3 LEAP, which stands for Livelihood, Education, Advocacy and Protection to Reduce Child Labor in Sugarcane Areas. The presentation was then followed by Chinese Taipei on Facilitating Human Resource Mobility through Social Protection. The other state representatives from Australia, Malaysia, Russia, USA and Japan respectively, discussed similar concept notes and program details focusing on different themes such as academic mobility, seasonal labor mobility, vocational training and the economic significance of women population. Mr. Malcom Greening and Ms. Katherine Brimon, Chair and Vice Chair of the HRDWG-LSPN Meeting facilitated the discussion among the delegates. Hopes were high among all the senior official delegates that more programs and policies would be implemented by the APEC economies. Secretary Baldoz, in her Welcome Remarks, enumerated her goals for the APEC Summit, (1) enhancing human resource quality to meet supply chain demands, (2) addressing social dimension of globalization, (3) facilitating mobility of labor and skills development and (4) enhancing participation of women in economy. All in all, the meeting permitted the APEC economies to share knowledge on, and best practices in, investing in human capital and in building inclusive economies. Other delegates from the SFI Group include Ms. Estrellita A. Anastacio – Chairman of the SFI Group of Companies, Ms. Vivian A. Guerrero – Treasurer of the SFI Group of Companies and COO of Temps and Staffers Inc., Ms. Heidelyn V. Concepcion – HRDA & Operations Group Head of Temps and Staffers Inc., Ms. Gina A. Jusay – Business Unit Head of the SFI Career Center, Ms. Patricia Margarita Z. Acepcion – BPO, RPO & Shared Services Recruitment Head of Businesstrends, a Kelly Services Company, and Mr. Richard P. Monteverde – Senior Career Coach of the SFI Career Center.